Intimate and elegant in the heart of the Blue Mountains. Intimate and elegant in the heart of the Blue Mountains – let The Metropole host your conference, meeting or event. Experience the old-world charm, elegance and rich history of our beautifully-appointed Metropole Guesthouse. Conveniently located in the heart of the vibrant township of Katoomba, The Metropole offers exceptional old-fashioned customer service and care, with the beautiful world heritage-listed Blue Mountains as your backdrop. Whether you are running a conference, training event or regular networking breakfasts, experience a venue with a difference. Offering an exceptional guesthouse experience, step back in time and let our friendly, in-house staff take the stress out of organising your event. Living and breathing the Blue Mountains, our locally-based staff will be your guide while staying with us. From the hidden gems to the ‘must do’ tourist attractions, we can plan a tailored team event package that suits your needs and requirements while you are with us. We are dedicated to ensuring your experience is enjoyable and memorable. 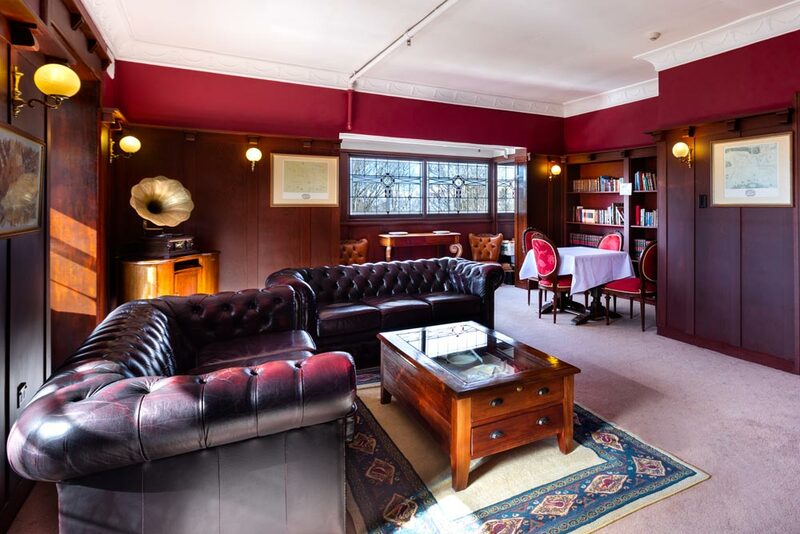 Brimming with history, The Metropole Guesthouse -established in the 1930s, is an outstanding hotel destination full of offbeat curiosities and art deco intrigue. 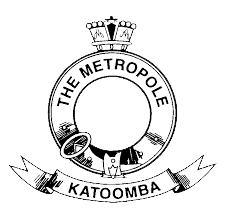 Ideally located in the heart of picturesque Katoomba and walking distance to the main tourist attractions, cafes and train station, The Metropole captures the refinement of a bygone era. 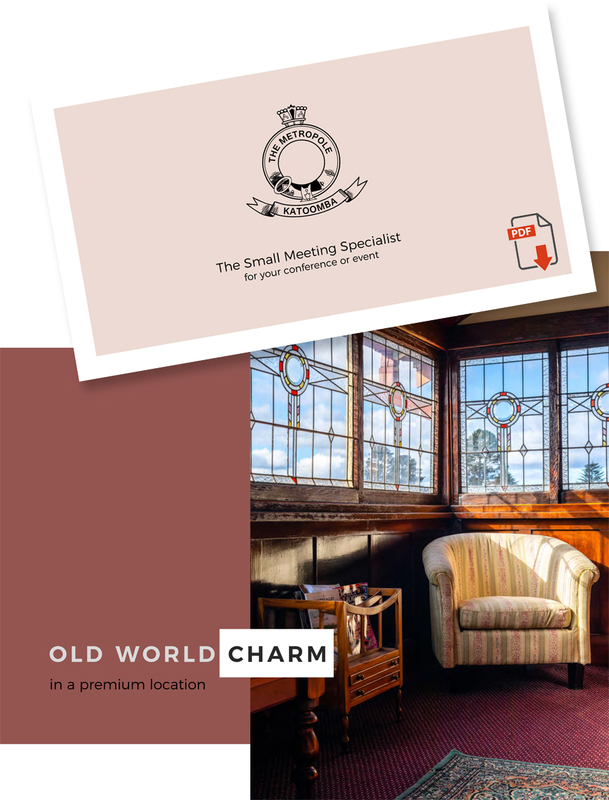 Soak up the old-world charm of our renowned hotel facilities and experience our old-fashioned customer service that is second to none. Blue Mountains. Successful events don’t just happen – they are created and executed by dedicated conference co-ordinators. Our locally-based, friendly staff take pride in offering a personalised service to support you with your conference planning and preparation. As experts at capturing the finer details, we ensure your event is not just successful but runs seamlessly. Specialising in personalised customer service, our three fully-equipped conference and event rooms cater for intimate groups of up to 50 people – offering their own individual character and style with old-world decor. With adaptable event spaces in either our Metro Room, Gang Gang Room or cosy Library, we can tailor an event package to suit you and your attendees’ needs. Simply select a room that suits your requirements and we will take care of the rest. Small meeting specialists, our dedicated team can adapt our function rooms to suit your event and attendees’ needs. We can set up our three individual rooms in a range of flexible configurations from theatre, banquet, classroom, reception, conference and hollow square, e-shape, u-shape and t-shape and ovals and rounds to name a few. Call us on 02 4782 5544 or email one of our dedicated conference coordinators today to discuss the requirements of your next conference or to book a site inspection.